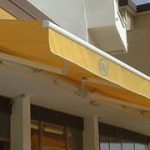 VICTORY is a heavy duty folding arm awning on a 60x40mm zinced and painted steel bar with double stainless chain arms. 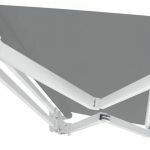 This model can be installed either on the wall or on the ceiling. 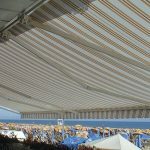 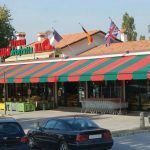 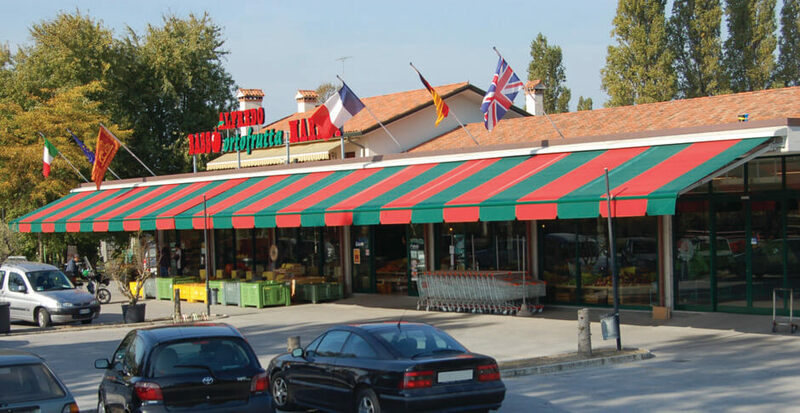 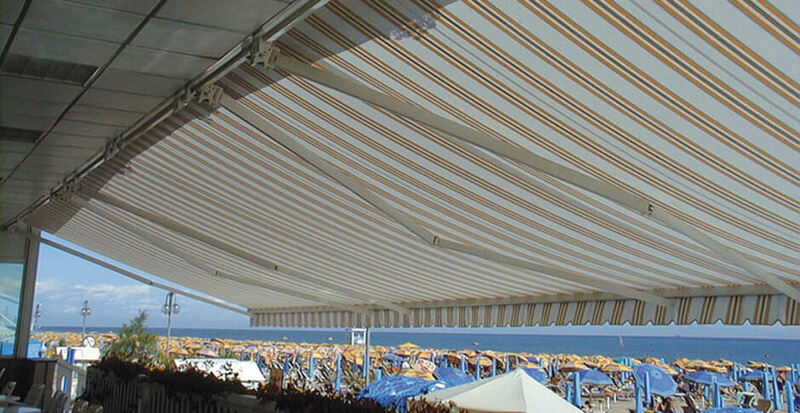 The awning is modular and larger sizes can be reached by adding more profiles together. 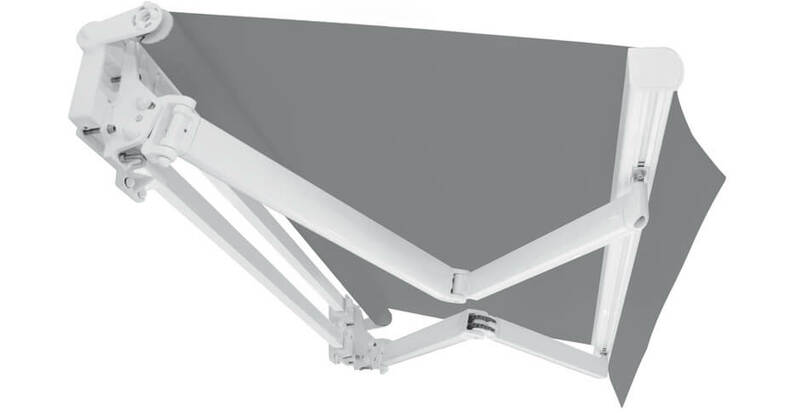 An extruded aluminium hood and a balance support are also available as optionals.